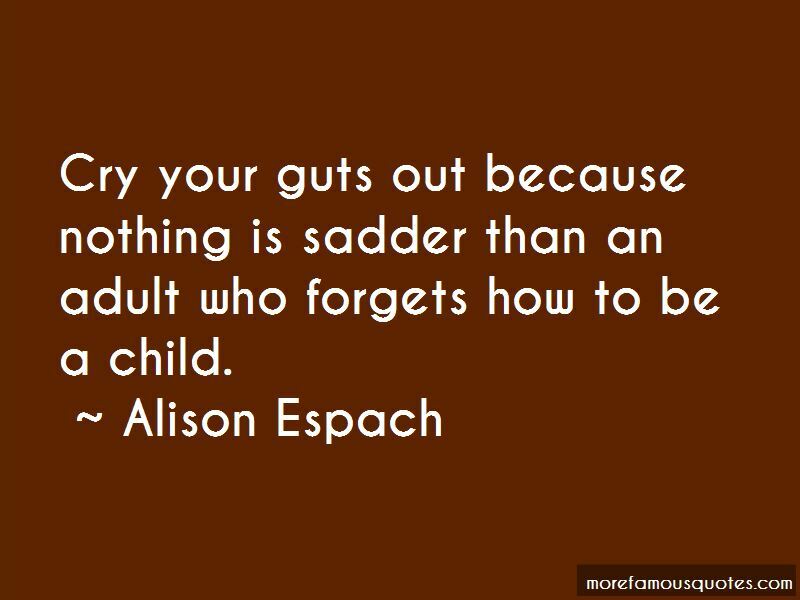 Enjoy the top 20 famous quotes, sayings and quotations by Alison Espach. “You know," my father said sprinkling nutmeg on his brandy Alexander, "if you sniff too much nutmeg, you could die." 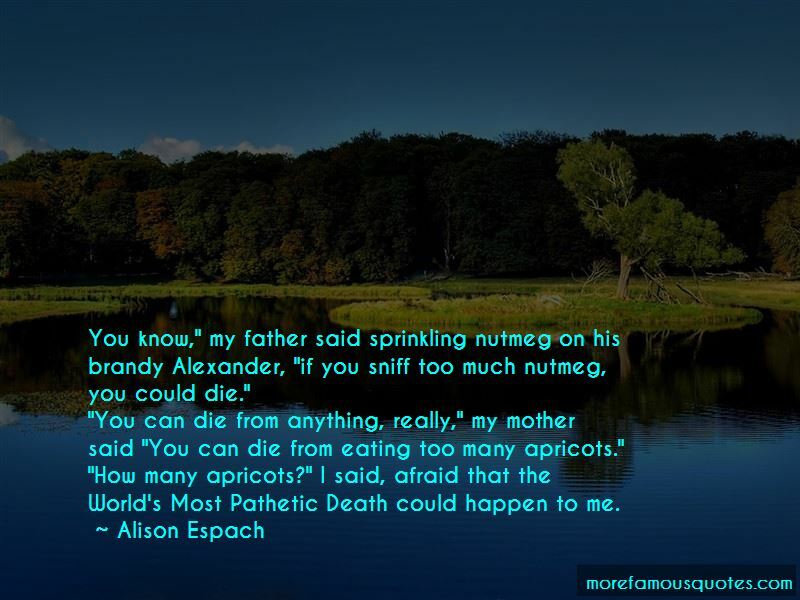 "You can die from anything, really," my mother said "You can die from eating too many apricots." All fathers are liars ... If you want to be a father, you have to be prepared to become a liar. My father moved out a week later. I hugged him at our front door and couldn't bear to watch him leave with so much luggage. 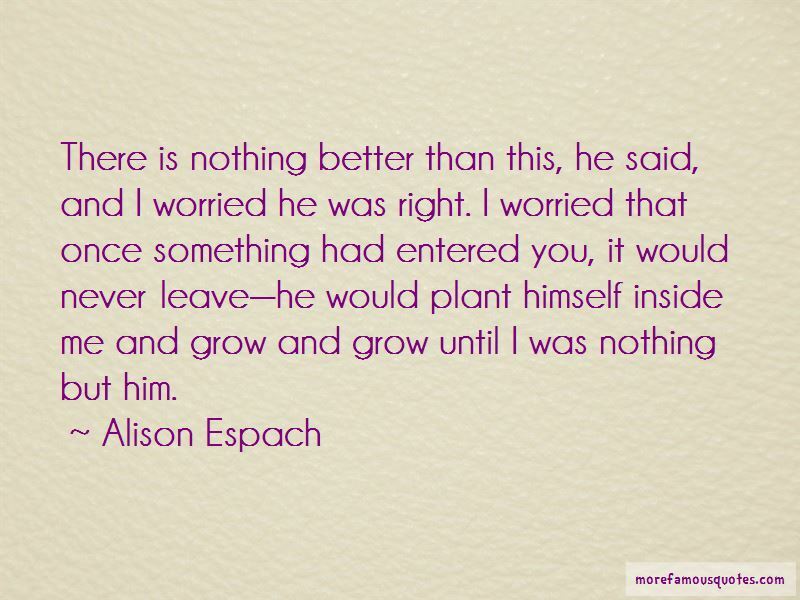 Want to see more pictures of Alison Espach quotes? Click on image of Alison Espach quotes to view full size.